Indie developer Mind Beast Games has just unleashed a clip full of multiplayer chaos on the Nintendo Switch. Grab a gun, unsheathe your sword, and get ready to flail wildly in the dark as we jump into At Sundown Shots in the Dark. 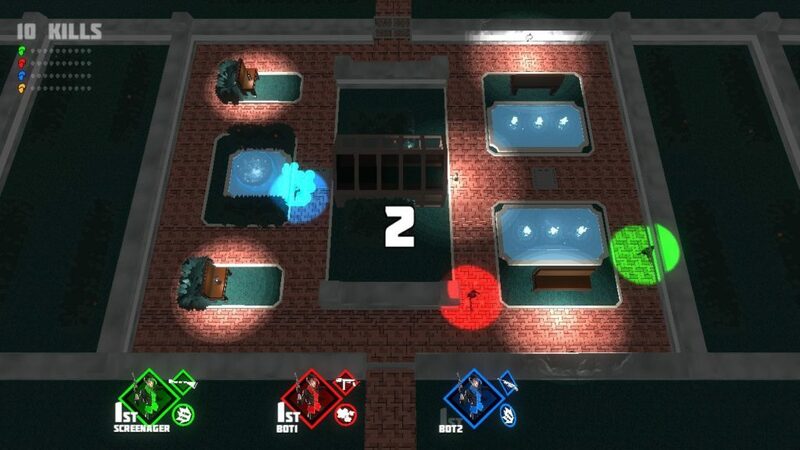 At Sundown Shots in the Dark is a frantic top-down shooter that takes players and throws them into a fight in the dark. 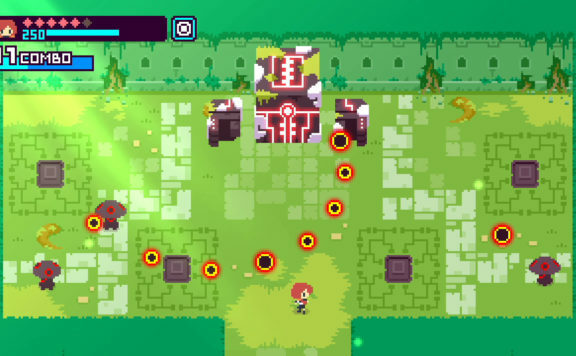 Stumbling around maps that are shrouded in darkness where players can only see you in the dark or when you shoot, this feels like it could be a twist on the massively underrated Invisgun Heroes. Also available on PC, PlayStation 4, and Xbox One and cutting a reasonable swathe through critics, the Nintendo Switch release brings this communal culling to a more mobile audience. Able to grab and go, the Nintendo Switch is a great party piece and provides an opportunity for At Sundown Shots in the Dark to bring the competition home to a local audience. It is, therefore, gratifying to see that a local play option exists for this title. The option to get in among friends or automated bots sits alongside the online options and a beginners tutorial. For players just beginning their killing spree, the tutorial is a great start to At Sundown Shots in the Dark. 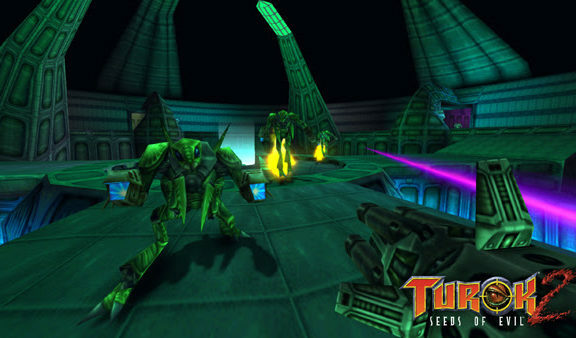 Covering basic movement, combat systems, and a plethora of weapons, the tutorial finds players weaving between pitch black rooms and illuminated corridors as they try to work out where exactly they are. Only when the trigger is pulled does the darkest corner of the map reveal a blaze of buckshot and illuminate an avatar. The tutorial zone is a great place to get used to each of the game’s weapons and complete a few time trials before throwing in with the online elite too. A total of eleven weapons are available in At Sundown Shots in the Dark and each of these feels unique enough to be interesting. This tie quite obviously into the progression system, unlocking as you increase your skill level. Selected before a match kicks off, items like shotguns need little aiming and are great for beginners, revolves are king of the ricochet and, SMGs are an unrelenting death rattle. 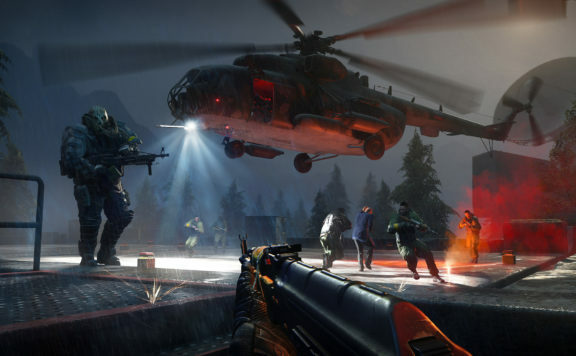 As you may have surmised, each weapon comes with its own particular implications and added benefits, from flares to grenades and a rash of other options these all make for a variety of fresh tactics. Fundamentally this means that while the format does not change between platforms, the game still seems like the same fast-paced death match that you expect. Indeed, competitors can ready up to get into a deathmatch, timed deathmatch, and last man standing battles. A host of match options are included, including customized respawn time to powerup options. Up to four friends or enemies can dive into each battle and anybody, like me, without many of these to hand can add AI bots into the mix too. Every match comes with a ton of customization options from the veracity of the AI players, team colors involved, match time, to the map rotation and it is satisfying to see this much nuance in fun indie title. When you’re done adding bots or selecting weapons, getting into the fight is a mixed affair. The feeling of movement in At Sundown Shots in the Dark is surprisingly satisfying. While this is not quite the chaotic ballet that games like Doom or Quake bring to the arena, characters move along a 2D map with haste. 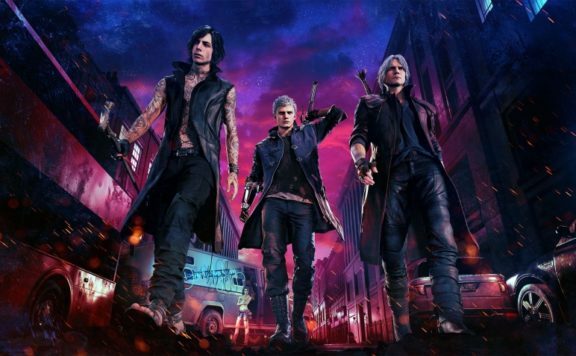 The addition of a dodge and run mechanics mean you won’t always find yourself cornered and the map layouts are generally all a good mix of open space, illuminated regions, and.constricting corridors that players toward a deadly end. Combined with the interesting mix of weapons, each of the nine maps available is clearly designed to cause maximum carnage and they do. Matches end up being a chaotic mix of ammunition telegraphs and death that should make At Sundown Shots in the Dark a game you want to keep dragging friends back to. This is where At Sundown Shots in the Dark starts to run into issues. 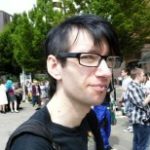 While the game provides access to local play, it seems that Mind Beast Games, have more than just skill barriers in place. After hours of searching for the correct settings, it is all too apparent that local competitive matches require additional hardware. Whether that is an additional controller or a friend with a while new Switch does not seem obvious, but in either situation, it seems like an odd omission to a console that comes with two Joycon controllers. Compounding this issue is the scarcity of online multiplayer matches. While anybody with a pre-made party can bring friends into the madness, At Sundown Shots in the Dark does not quite seem to have a critical mass of players to make this option much more than a time waster at present. All of these barriers to human contact make the lack of any single player campaign a bit of a letdown. Unfortunately, the lack of Joycon support is far from the only problem with this port. While the underlying gameplay mechanics are solid, I kept bumping into what felt like performance issues. While At Sundown Shots in the Dark speeds up and slows down gameplay for dramatic effect, making use of the fact that it is only presenting to one player at a time, not all of these changes in pace felt deliberate. As things got frantic and players collided in a mess of particle effect, my Nintendo Switch seemed hard-pressed to keep up with the action. Frame rates appeared to plummet and any time it got too much I could barely keep track of my own character. This is irritating enough on the big screen, but when a busy set of maps are crammed onto a mobile format, it is enough to make me surrender. At Sundown Shots in the Dark is fundamentally a good game. It has a quirky retro graphics, some intelligent design and I’d happily give it another try on the PC. With the Switch’s performance constraints and barriers to friendly play, this feels like a port that didn’t quite make the cut. 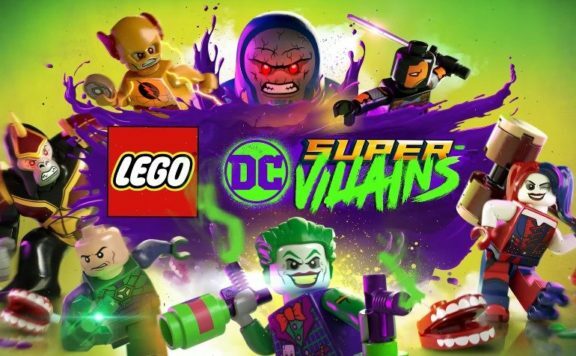 Do yourself a favor and either wait for this to be updated or go and get the game on PC, PlayStation 4, or Xbox One. 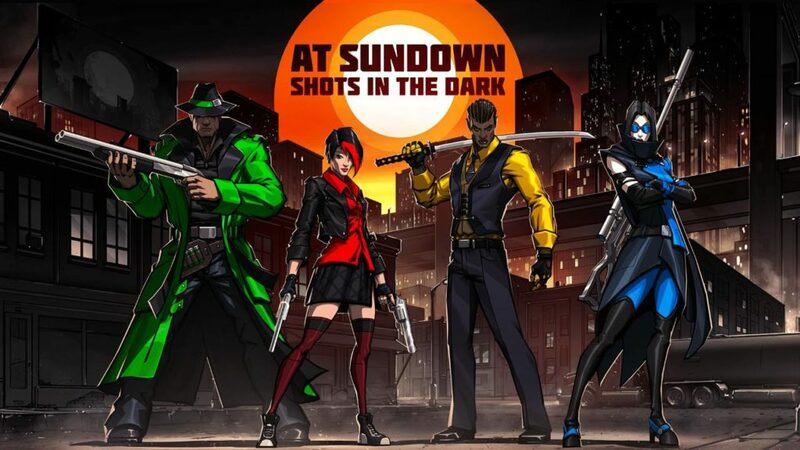 At Sundown Shots in the Dark is available now on the Nintendo eShop.